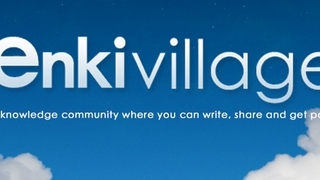 How to Register on EnkiVillage You may have browsed some interesting articles on enkivillage.com. Do you pop up some awesome ideas? Don't you want to have your own account? 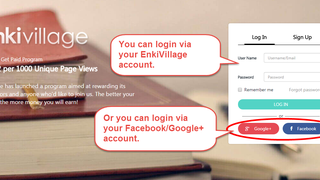 Here we illustrate how to register on enkivillage.com. 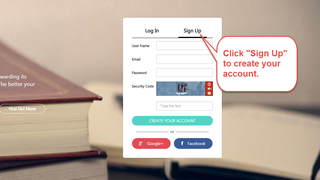 10 Tips to Make Your Article Stand Out from the Crowd After learning how to register and log in on EnkiVillage, as well as the steps to write an article on our site, you might be interested in taking this further and learn how to polish up your work to make it excellent. Here is how! How to Use EnkiVillage Welcome to EnkiVillage! Are you a newcomer? Do you want to know more about EnkiVillage? You come to the right place! 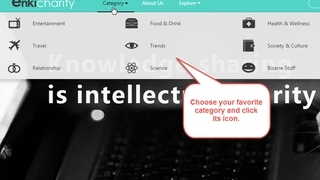 The following introduction can help you explore EnkiVillage fast and easily! Server responsed at: 04/25/2019 4:38 p.m.